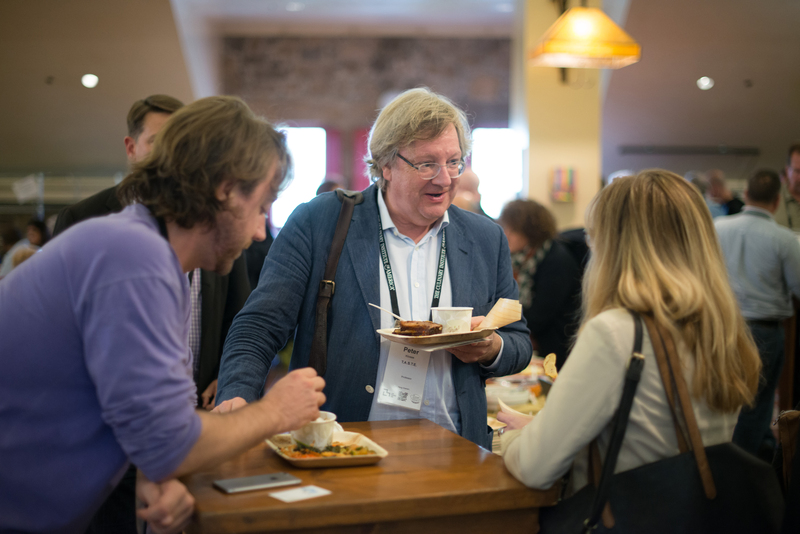 St. Helena, CA – More than 350 guests filled The Culinary Institute of America at Greystone November 4–6 for the third annual reThink Food conference. A collaboration between the CIA and the MIT Media Lab, reThink Food has become a hub for thought leadership at the intersection of food, technology, behavior, and design. Attendees included food industry leaders; academics and innovators in R&D, technology, and consumer package goods; marketers; and others in related fields. From demonstrations of robotics in the kitchen and diagrams of culinary genetics to discussions about harnessing technology to transform food systems, reThink Food provided provocative insights and sparked lively conversations around the central themes of disruption, innovation, and advancement. 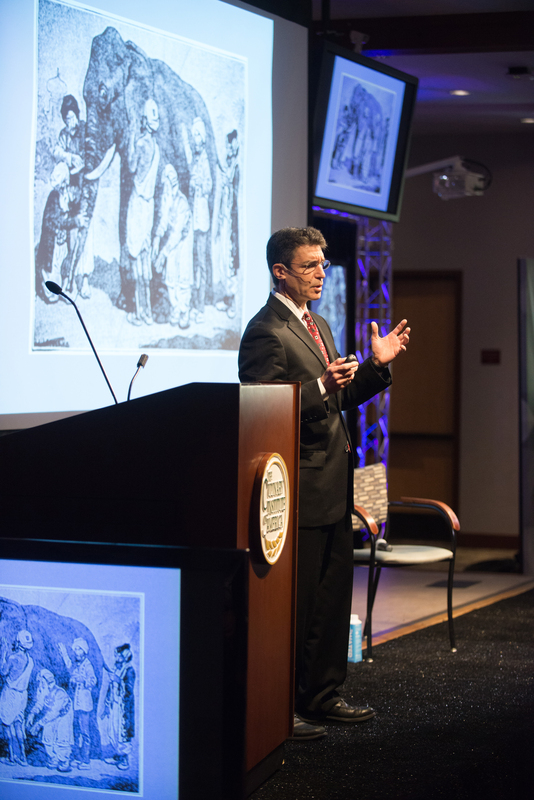 Attendees were treated to a sneak peek at some of the most cutting-edge advancements in food innovation, including artificial intelligence (AI), robotics, virtual reality, big data, and genetics. The first reThink Food Innovator Program celebrating eight disruptive startups that are shaping how we will grow, produce, and distribute food in the future. These companies participated in a Startup Studio where they sampled or demonstrated their products. A look at how traditional farmers work with urban agriculturalists to use big data to share insights, create a transparent system, and work towards producing enough food to feed nine to ten billion people by 2050. An argument by UC Davis’ Matthew Lange for the development of the Internet of Food (IOF), an extensive digital web that will “tip the balance” from greatest-good-for-greatest-number policies to a focus on personalized nutrition and prevention. Food designer and artist Emilie Baltz (Pratt Institute) took the audience through a powerful multi-sensory exercise to demonstrate the relationship between emotions and our conscious minds as we create new food and beverage experiences that are essential to behavior changes. An exploration of “Creative Tensions” was led by a team from IDEO and became a forum for healthy debate and conversation. 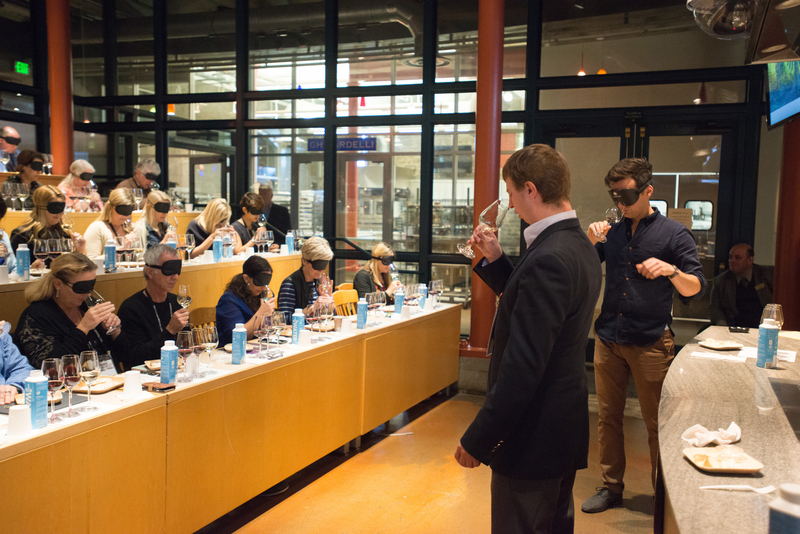 Henry Wedler of UC Davis led a truly blind wine tasting to prove how flavors and aromas in wine are accented by simply turning off the lights. The webcast of all general sessions from reThink Food can be seen on the reThink Food website under the multi-media tab. Information about next year’s conference, which will take place at the CIA at Greystone November 3–5, 2017, will be available on re-thinkfood.org in January. reThink Food is made possible, in part, by the generous contributions of our sponsors. They include our platinum sponsor IDEO; gold sponsor Chobani; silver sponsors Google and the National Pork Board; copper sponsors TerraVia, Unilever Food Solutions, and Vitamix; premier presenting webcast sponsor Rich’s Foodservice and presenting webcast sponsor Unilever Food Solutions. Actively promoting a unique, antidisciplinary culture, the MIT Media Lab goes beyond known boundaries and disciplines, encouraging the most unconventional mixing and matching of seemingly disparate research areas. It creates disruptive technologies that happen at the edges, pioneering such areas as wearable computing, tangible interfaces, and affective computing. Today, faculty members, research staff, and students at the Lab work in more than 25 research groups on more than 350 projects, from digital approaches for treating neurological disorders, to a stackable, electric car for sustainable cities, to advanced imaging technologies that can “see around a corner.” The Lab is committed to looking beyond the obvious to ask the questions not yet asked whose answers could radically improve the way people live, learn, express themselves, work, and play. For more information, visit media.mit.edu.